Finding the best carry on luggage — it’s generally not the first thing you think about when planning your next business trip, vacation or weekend jaunt out of town. But, choosing the best carry on luggage for your particular trip can be the difference between a stress-free, enjoyable journey and a nightmare you never want to repeat. Searching the internet for your next vacation destination is fun. People spend days, even weeks weighing up the best places to go, checking out the culture, working out what the weather is likely to be doing and interrogating their friends and family to find out if they’ve been to the same place, what was hot and what was not. However, how many times have you had a water-cooler conversation about the best type of luggage to take with you? We bet the answer is, well, not one! That’s why we think you’ll find this guide useful. We have taken all the hard work out of finding the best carry on luggage to make your vacation simple and stress free. Whether it is wheeled, comes with handles, a million pockets or one main hanging compartment. Maybe it simply must look like it has just stepped off a cat-walk at Paris fashion week or perhaps it just needs to be as rough and ready as you are. Whether you’re traveling for business or pleasure, read on to discover the best carry on luggage for your trip. Why buy carry on luggage over check-in luggage? It is generally accepted that when you are traveling for more than a week, it makes sense to take larger cases and check them in so they travel in the hold of the plane. However, we all know how annoying it can be waiting for your bags at the luggage reclaim belt when all you really want to be doing is high-tailing it to your final destination and relaxing in the bar with a glass of something tall and cool. This is where carry on luggage takes the edge. It is perfectly possible to pack for an entire week, just using carry on luggage, as long as you are ruthless in what you take with you and pack really carefully, maximizing every spare inch of space. To do this successfully, you need to make a list and then cut it in half! Try and take garments that can be mixed and matched and consider purchasing your toiletries at your destination. Of course, it is far more simple to pack everything you need for a week in the Bahamas in carry on luggage than a week in the Antarctic, but hey… everyone loves a challenge, right? The other benefit of buying carry on luggage is that it is far easier to store when it’s not in use, especially if you buy the type that can be squashed down flat. Do remember though that if you intend to travel with carry on luggage only, you should be extra careful about what you take aboard the plane. Airlines are super picky on what can and cannot travel in the cabin with you and it is always worth checking for updates to regulations on the TSA website before you travel, even if you are a frequent flyer. What is the best carry on luggage for me to buy? With so many options, it can be hard to know what type of carry on luggage is going to be best for you. Next we are going to run through a few of the most popular types of carry on luggage so you can make a decision on what is the best carry on luggage for your particular trip. You are likely to find wheels on a great many of the carry on luggage options you see available. Generally they are the most popular type of carry on because they leave your hands free to hold a take away coffee or your travel documents while you are walking through the airport on the way to the departure gate. They save the strain on your hands, arms and shoulders, too, as they can simply be wheeled along behind you. Beware though of short handles, if it is too short for you it can put strain on your back, never a good thing when you’re off on vacation or a business trip. 2. When you see that ‘must-have’ souvenir on your way back to the airport for the trip home, you can buy it, expand the case and still fit everything into a single piece of carry on luggage! It is worth checking out the final expanded size before you leave home though. Some airlines really scrutinize carry on luggage size, and if the expanded carry on exceeds the specified size, you may find yourself having to check your bag and pay extra for the pleasure. This situation may also leave you walking on to the plane with a less-than-attractive, and less than secure, plastic bag, if you don’t have anything else with you to hold your stuff. This carry on luggage is perfect for a business trip. They generally come with wheels, a million pockets both inside and out, many have padded areas for laptops and tablets too. Most have a decent amount of space for garments and some really fancy ones have foam covered hanging rails so your suit doesn’t get creased on the journey. However, they are built with functionality over style in mind so don’t expect to find them in a huge range of colors and fabrics. We love a good garment bag, they are just such a clever invention. Most fold out flat for packing and feature a huge amount of additional pockets for all your accessories, shoes and general bits and pieces. Once packed, they can be carefully folded in half and zipped closed, which provides a secure place for everything you are taking with you. Lots of this type of carry on luggage features a hanging hook or strap which means it can be hung in the cabin’s coat closet which makes retrieving it at the end of the flight simple. Not to mention the fact that your carry on is likely to have a bit more room than having to place it in the over head bin. However, since your carry on luggage won’t be close by you during the flight, getting access to your in-flight entertainment items could prove difficult. It’s the ideal choice if you’re traveling with a companion who can take your in-flight essentials in their normal carry on luggage. 2. Carrying a week’s worth of garments on your back or shoulders can be uncomfortable and you do run the risk of starting your vacation with a sprain or a sore back. How do I keep my best carry on luggage safe and visible? Once you have decided which is the best carry on luggage for you to buy, it is sensible to give some thought to how you are going to keep it safe and also, how you are going to identify it as yours. If you purchase dark colored carry on luggage, it can sometimes be difficult to see which case is yours when you come to remove it from the overhead bin. Even if your carry on luggage is traveling in the cabin with you, sometimes, on busy flights you may find the only space to store it is in a bin a few seats down from where you are sitting. Visibility and security is important and here we have highlighted a few products that you might consider to help with both these things. Ensure your luggage is returned to you if it goes missing by adding a luggage tag to the handle during travel. Keeping your carry on luggage closed is important if your case won’t be in your immediate line of sight at any point. Keep your valuables locked up tight with these handy safety devices. 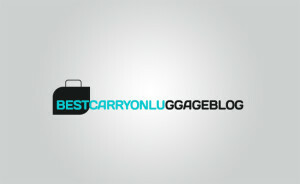 By now, you have plenty of knowledge on all of the different types of carry on luggage out there which is great. By now, you will probably have a pretty good idea on which type is the best carry on luggage for you and your trip. Maybe you have even started to search on line for a few options. We’ll bet that your head is now spinning with the sheer amount of choice open to you! That is why we have spent a serious amount of time doing all the leg work for you and below, you will find five options that, in our opinion, are the best carry on luggage available to purchase right now. First up in the best carry on luggage list is the little beauty from Samsonite, the Samsonite Luggage 21 spinner . When it comes to durability this carry on ticks all the boxes. Its construction is a heavy duty mixture of polyester and nylon and for ease of movement it features four multi-directional spinner wheels, there’s also a telescopic handle which folds down into the top of the case. The case has plenty of pockets too which help with organization. On the inside there is a wetpac pocket to keep damp items away from your dry garments during the trip. The zipper is heavy-duty meaning it won’t split no matter how much you cram inside the carry on and, to top it all off, the carry on luggage is expandable. Reviewers are very impressed with this great all rounder and we love the fact that it comes in two colors, functional black and funky red. There are some reports that the handle on some cases collapses a little too easily, however, this appears only to affect some cases. This cute little guy is the best carry on luggage for business travel by far. It is small in stature measuring just 13.5 inches x 16 inches x 9 inches, which will certainly pass airline size regulations for carry on luggage. In addition, this case will fit under the seat in front of you in-flight, a great bonus if you are traveling with an airline that charges for overhead bin usage. Constructed from polyester for toughness and water resistance, it features an even more tough zipper which is lockable for security and an extra strength telescopic handle and four wheels for moving the case around both in the airport and at your destination. The additional Neoprene handles mean there is the option to carry the bag too, great if you encounter lots of stairs at any point during your journey. The case is available in black, and also a rather delicious shade of blue so it hits the mark in the style and looks aspect, too. Although we have praised this case for its miniature stature, unless you are an absolutely expert packer, it probably will only be suitable for a couple of nights away from home rather than a whole week. If you prefer a duffel type bag to a traditional carry on case, this model from Athalon might be the best carry on luggage for you. It is constructed from super strong polyester and available in four colors, ranging from functional black to loud and bright. The carry on is machine washable too, which is a huge bonus if you are a frequent flyer. Being a duffel means it will fold away small for storage purposes and allow you to pack efficiently using every inch of space.The bag can be stood upright on its feet and it features in-line skate wheels and a telescopic handle for maneuverability. Due to its construction it is both durable and lightweight and its wide zippered opening means that getting all your stuff in and out is simple. Reviewers are very complementary about this piece of carry on luggage, however, it has slightly larger dimensions, 21 inches high by 14 inches wide and so do be sure to check size regulations on your particular airline before you fly. Security is always worth considering as we have already discussed above and this piece of carry on luggage certainly takes this into consideration. It features a lock, which is TSA approved, and which is integrated into the case itself which means you’ll never be stuck searching for your padlock just moments before you are due to leave for the airport. It is bright and easy to identify too, available in the brightest shades of green, pink and blue as well as traditional black. Constructed from 100% polypropylene, it is tough and easy to wipe clean. The rigid construction means that your garments won’t get crushed in-flight, and your electronics don’t get damaged from careless handling. The aircraft grade handle, made from aluminum, and the four spinner wheels add to the great list of features of this carry on luggage. The one downside to this piece of carry on luggage is the lack of exterior pockets which means its fine if you’re traveling with a companion who can keep your travel documents and in-flight entertainment items in their possession instead, or you can fit in-flight items in your allotted second personal carry-on. .
Are you looking for a mobile office on wheels? Then look no further! This carry on luggage has it all! It is simply packed full of features to make your next business trip an absolute cinch. In fact, we are pretty sure that you’ll love this product so much, it may well begin to feature in your every-day trip to and from the office. As well as having those all important wheels and handle, this luggage also features a clever panel which, when carrying the bag next to your body, dissipates heat. It has a padded compartment for your laptop, comfortable carry handles which form to the shape of your hands and it also features a magnetic clasp, which means the handles stay held together. An external pocket is large enough to hold your tickets, passport, and other essential travel documents, and the second pocket has sections which hold your cell, pens and pencils, and even a lipstick. Its dimensions fit well within even the strictest airline restrictions. As for looks, quite honestly, it is beautiful! While most reviewers love this bag, some report that the material is not as sturdy as they would like. However we feel the positives of this bag far outweigh the negatives and that is why it has made it to our best carry on luggage list. So there you have it, our praises and run down on the best carry on luggage available. We hope you have found it helpful and all that remains for us to say is, Bon Voyage!